2016 could be the year in which the Dutch Presidency propels the EU to seriously investigate and address the failures of the current pharmaceutical R&D model. 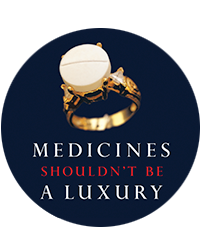 This system leads to the development of ‘me too’ medicines, anti-competitive behaviours and high prices of new treatments that are not related to the costs of development. We urge all Member States to support the Dutch Presidency in its ambitious proposals.